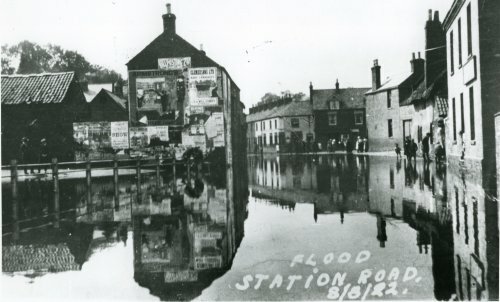 Station Road flooded in August 1922. Note the railings of Black Green on the left. The Black Green is now the car park.